The Famous Dj´s Jhonny and Jimmy PerrAko make a surprise appearance during their super-star sold-out World Tour to create unforgettable nights, full of humor and craziness in your festivals and private parties! 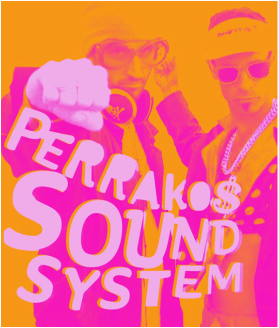 PerrAkos is a party and show rolled into one! Playing all the hits from ska, techno, rumba, classical, rock, drumb and bass, to the 80s and beyond! The other half is the audience participation. 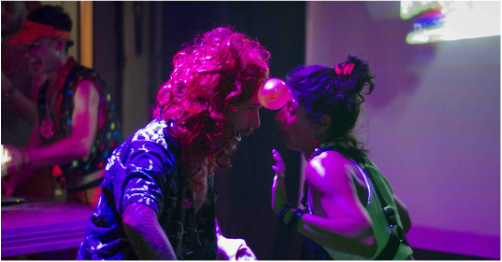 The public can take the stage, dressed to the nines and participating in epic moments like the dance competition, striptease, break-dance championship, best air-guitar… Everyone loses their inhibitions, dives deep into their ridiculous self and gives their all on the dance floor. En definitiva Los Perrakos son los creadores de en un género nuevo en el que se mezclan ​dj´s, personajes y juegos. Toda la música va acompañada de proyecciones y vídeclips que Jhonny y Jimmy bailan como los que más, consiguiendo transmitir a la gente una energía desbordante de fiestaka, amor, lujuria y risas. 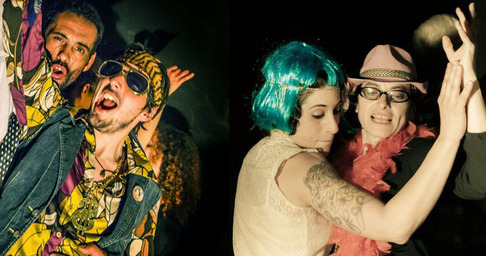 The Perrakos are breathing new life into the party-scene, a new concept where the music is accompanied by projections, music videos, interactive games, and clowning. Jhonny and Jimmy animate the crowd with totally immense love, humor and luxury!